Kidney Foundation? Another Canadian charity? You’re ready to donate your beautiful old car and are considering where to send your gift. The car has served you well, and you’ve thought about putting the car up for sale on Kijiji. But time is valuable. It would be so much easier to see the car picked up quickly, with the proceeds going to a cause you love! Read through our January 2015 blogs for information that will help when choosing the right program for your donation process. The Kidney Foundation vehicle donation program, Kidney Car (a charity working in partnership with area scrap yards like Pick ‘n’ Pull/Pick and Pull), will either re-sell or scrap donated vehicles. Their option to receive “Gifts in Kind” impact their tax receipt outcomes, with Kidney Foundation donation proceeds going to research and awareness related to Kidney disease. 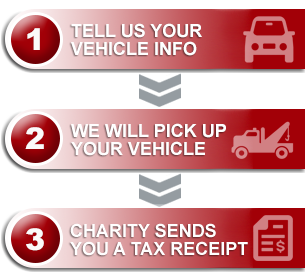 Are there any other vehicle donation programs benefiting charities in Canada? There are! Read on to learn more about that. The Kidney Foundation is Canada’s most recognizable vehicle donation program. You may have seen their television ads or billboards? Perhaps you’ve heard a radio spot just this week. Kidney Car (the Kidney Foundation vehicle donation program) serves donors with free tow support from Coast to Coast. Net donation proceeds go to the charity itself and, for families who have been impacted by kidney disease, this organization is a great choice for donation dollars. Here at Donate a Car Canada you will also receive that free tow. Through our program, your gift can go to any one of 800 charities! One of our donors recently asked, “Of the $586.71 you quoted me as my donation outcome, how much will actually be sent directly to the charity?” What an excellent question! It’s a good idea to ask questions of the donation program you are hoping to have work alongside you. Will they gift the cause I care about the most? How much will my tax receipt be? How much money will actually go to the supporting the needs I care about, and how much will go to paying for things like advertising and salaries? At Donate a Car Canada, your donation outcome reflects an honest market value (determined by fluctuating metal markets globally). The net proceeds go to your chosen charity in full. You will always have the freedom to choose the cause that most closely impacts you and your loved ones. Through the Kidney Foundation program all gifts remain within that charity. Donate a Car Canada staff will be personally involved in working alongside you every step of the way. In an effort to ensure that as many dollars reach your charity as possible, Donate a Car Canada keeps their advertising and overhead costs to a minimum. If the Kidney Foundation is your charity of choice, do reach out to them and make your donation arrangements. If you’re ready to donate to a different charity today, simply visit us here. We can’t wait to see your submission and forward your gift on to the charity that means the most to you! Good afternoon Ms. Fawns, the company you have connected with here is Donate a Car Canada — we are a separate company from the Kidney Foundation. We will be happy to work alongside you on behalf of any of our hundreds of receiving charities, but as they have their own vehicle donation program, we cannot process donations for Kidney Car. If you would like to reach them directly, please visit their site, http://www.kidney.ca to find their online submission form and regional contact numbers. If you have another charity that you would like to gift, please visit call our toll free number, 1.877.250.4904 (between 9:00 am and 4:30 pm MST), or fill in our online submission form at donatecar.ca. Thank you for your generous efforts on behalf of charity! I have a pick up truck that I want to donate, however it has 4 new ‘all weather’ tires. Would your organization take them off the hubs and I will collect them? Good morning Mr./Ms. Hall, Thank you for your query! Our towing companies provide prompt tow service; unfortunately they do not remove parts for our donors. If you would like to remove and replace your all weather tires prior to pick-up, our agents will happily come for the truck. They do require that the vehicle have 4 tires at the time of pick-up (these do not need to be in good condition, but are required for ease of transport and processing at the recycle/re-sale yard). If you would like to go ahead with your donation, please visit us at http://www.donatecar.ca and fill in our online submission form via the ‘Donate Now’ button at the top of the page. If you have any trouble with the form, do feel free to request a phone call, or call us directly at 877-250-4904 during business hours. We look forward to seeing your submission and wish you a wonderful day! Here at Donate a Car Canada we can either recycle or re-sell donated vehicles: if a vehicle is ready to come off the road we work with area recyclers to provide the free tow and the payment for the vehicle. If a vehicle has re-sale value it is sold as-is to the highest bidder, with the net proceeds being forwarded to any charity in Canada (we currently have over 800 to choose from!). We assess each car, as it comes in to the program, to determine the best process for that vehicle — and how to get the strongest return for the donor’s charity of choice! Thank you for your feedback about Kidney Car — do scroll through for more notes on how the Donate a Car Canada program works, how your gift can benefit one of 800 charities, and what we can do on vehicles that have re-sale potential! We are sorry to let you know that our cooperating agent in your area (due, primarily, to low metal values and industry depression), has temporarily discontinued service in Vernon and the surrounding region. Unfortunately, we will not be able to accept your vehicle for donation through our program at this time. 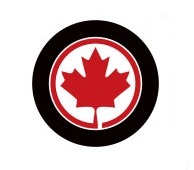 By way of further information: our program does accept vehicles without tires in some parts of Canada, but typically any Canadian vehicle donation program will require that all parts be left on the vehicle. We truly appreciate your consideration of our program as your gift is important! We apologize sincerely for our inability to support your donation in Vernon. How much do you get in the tax receipt for donation of your average car?